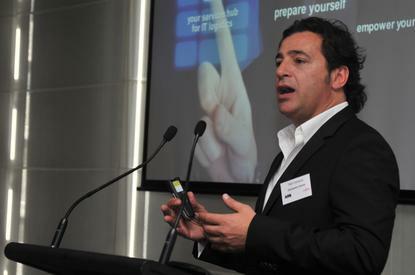 Distribution Central managing director, Nick Verykios, says the company has no "sense of entitlement". "All it's saying is that we are going to the marketplace to see what ideas might add value to our business moving forward," he said. "We have not made a decision to go dual. But we have had the same agreement for a very long time and because our business has grown we are interested in seeing what opportunities are out there." James said the current business environment was changing very quickly, shaping how NetApp operates both locally and on a global scale. “With this in mind, now is an important time to review how we go to market, especially as it relates to distribution," he said. “We are looking forward to meeting with distributors and learning what innovative ideas they may have on how to jointly tackle the evolving IT landscape and continue NetApp’s history of success in the local market." 'NetApp’s existing distribution relationship with Distribution Central remains strong and continues to be an integral part of their channel strategy across ANZ,' the company's statement read. Distribution Central managing director, Nick Verykios, said NetApp had been exemplary in its professional approach to this business expansion initiative. "We are approaching this process with a view of growth in our NetApp business," he said. "We have no sense of entitlement whatsoever. "What I know from doing this relatively successfully for over 20 years is we have to compete for every dollar, every day we are in business and to do this we have to make sure the value we provide is something our vendors and our customers just can’t do without. "That’s where we will be investing our time, money and energy." Verykios said DC’s relationship with NetApp was substantial and that the partnership had significantly benefited the current NetApp reseller channel in Australia, New Zealand and Singapore. "Our desire to continue to invest in NetApp remains unaltered and we look forward to working with our vendor to explore new product and market opportunities while enhancing the current business at hand with our reseller partners," he said. "That’s what this process represents to us." He said DC had invested in home grown systems and procedures as well as support services that were acknowledged "the world over" as superior and world class. "We can comfortably back ourselves going forward, in light of any potential change to the distribution landscape," he said. "At the same time we have a brand new opportunity to present our investment decisions and strategies to NetApp to exploit opportunities in Cloud, Service Providers, and the growing mid-market available to NetApp’s new technologies."